Soakaway crates act as a more advanced form of an old-fashioned ditch or pit. These were traditionally filled with gravel and used as a place for storm water and excess surface water to soak into. This method can still be used but it comes with some problems. The main problem being that, inevitably, the pit gathers soil and debris which fill up the empty space in the ditch giving the water nowhere to run into, rendering the pit useless after time. Soakaway systems come with no such problem. 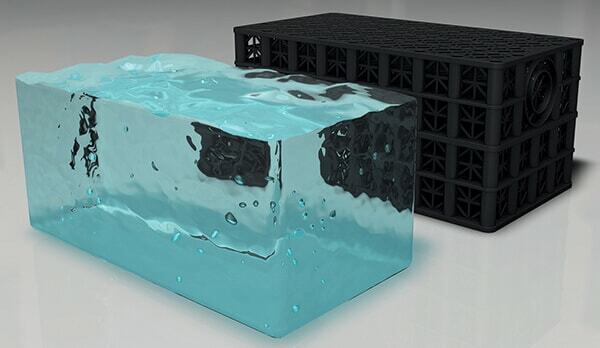 The geocellular crates are manufactured to act as an underground reservoir to collect the storm water from persistent rain. The crates, made from plastic which clip together easily to form a box structure, are commonly used in various different projects from commercial to domestic. 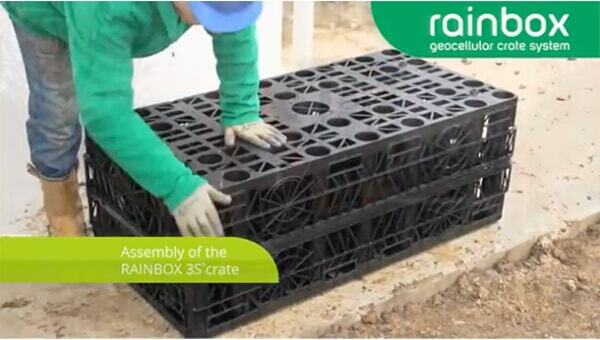 We offer a type of soakaway crates called RAINBOX 3S which consist of two half boxes and a centre plate which are assembled prior to installation. 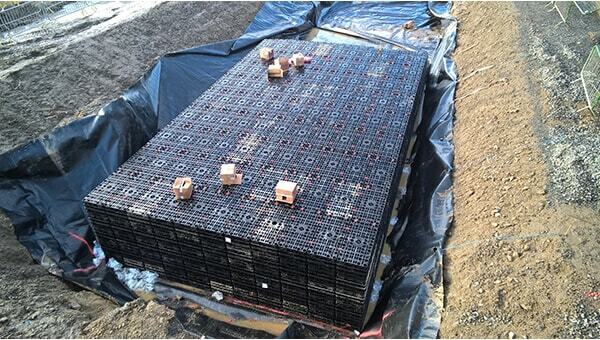 These can be used as both a soakaway and an attenuation scheme. For soakaway purposes the crate is wrapped in a geotextile material which is permeable, but protects the system from debris, and allows the water to slowly release back into the ground through infiltration. 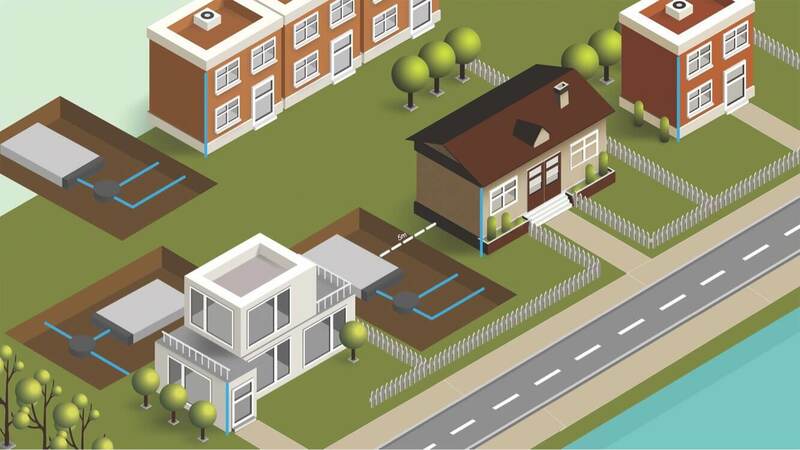 Attenuation is where, with the use of flow controls, the water collected is slowly released back into an existing watercourse or sewer system to create a SuDS (sustainable drainage system). Why do I need a soakaway crate? 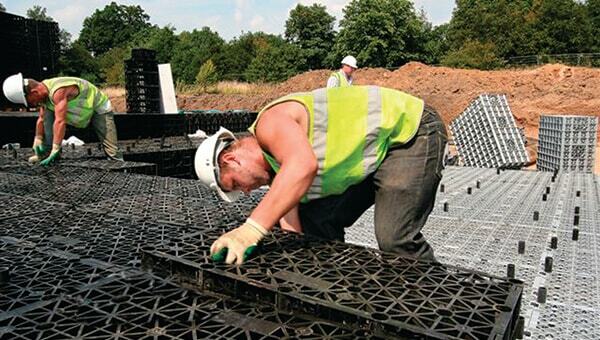 Replacing soft permeable ground with impermeable construction materials means the likelihood of flooding increases. As demand continues to grow for housing, work space, warehouses and other construction projects this means the natural land, which would once soak up all the rainwater, is no longer there, resulting in water pooling on the surface which can lead to localised flooding. This can affect river levels and cause bigger flooding downstream which can be catastrophic. Also, the development of greenfield sites causes rainfall to enter the water systems more quickly; leading to flash flooding. 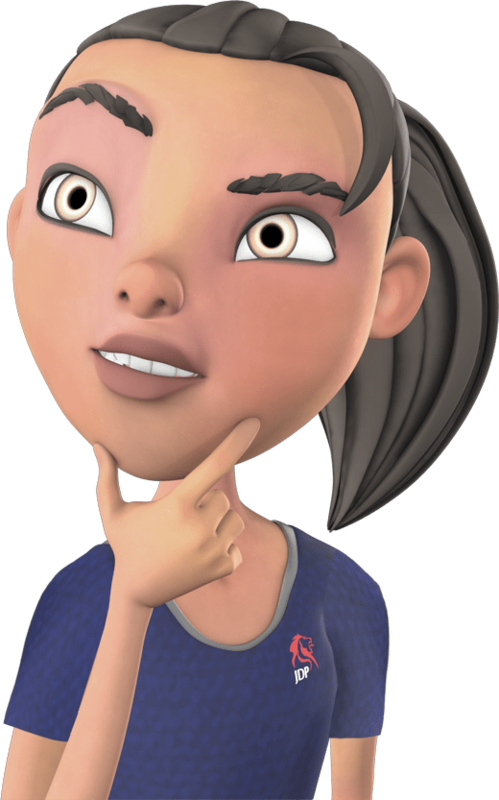 Part of the planning process on new developments is to design a sustainable system that will contain excess rainfall on a development, and release it back to the watercourse at the natural pre-development rate, or greenfield run-off rate. By adding a soakaway system, such as RAINBOX, on your property or land you can reduce this risk and keep the ground around you free from surface water.